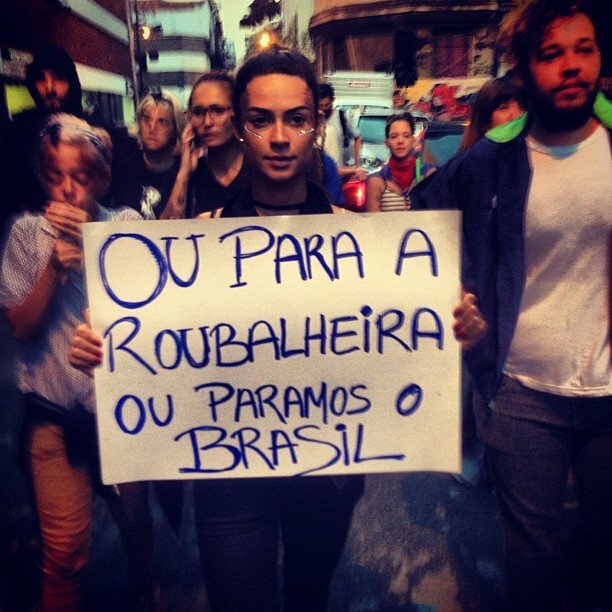 Nos últimos dias o Brasil tem sofrido uma onda de manifestos, acompanhados, infelizmente, de vandalismo, mas com um propósito muito maior e finalmente parece que o povo está sendo ouvido. Muitas pessoas se comoveram com a torrente de pessoas andando pelas ruas, não só do país, mas também nos estrangeiros... E isso é algo de arrepiar! In English: In recent days, Brazil has suffered a wave of demonstrations, accompanied, unfortunately, vandalism, but with a much higher purpose and it finally seems that the people are being heard. Many people were moved by the stream of people walking streets, not only the country but also in foreign ... And this is something chilling!